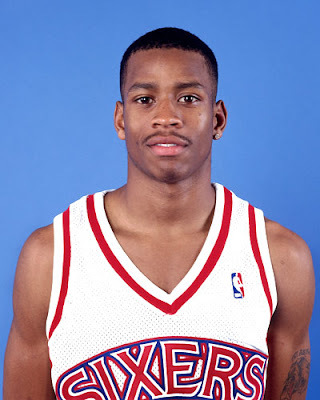 Robert Hubur wrote a nice expose on Allen Iverson. I almost want to call it the "tragedy" of Allen Iverson. I'll never forget AI's rookie year - attacking the rim like the Bulldog that ordains his left bicep,with the speed of a humming bird and the grace of a ballet dancer, AI was always a site to behold. For years he carried the 76'ers, and the entire city of Philly, on his shoulders. It's sad to see his career winding down like none of us would have imagined via his recent stops in Detroit, Denver, Memphis, and Philly - but he seems to be embracing his role in Turkey for the time being. All I can really say is check the article over at Philly Mag - and pay homage to a basketball legend.